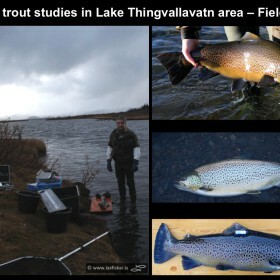 We are participants in ambitious brown trout studies in Lake Thingvallavatn in order to acquire detailed knowledge on life history and habits of the fish utilizing our fishing area. 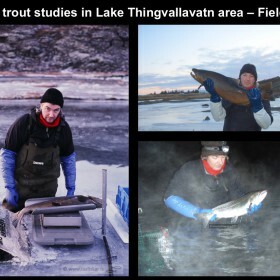 The research is carried out by the research company Laxfiskar ltd. and led by Mr. Jóhannes Sturlaugsson that has well over a decade studied the trout in the lake and its tributaries, see here. During active co-operation, the fish caught and released are tagged and measured in order to keep track of them during their life span. The research will be based on the use of electronic fish tags, along with more traditional research methods. 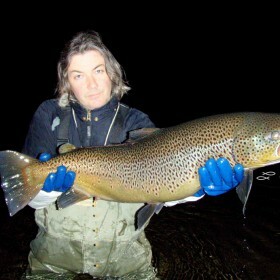 Monitoring the fish, utilizing our fishing areas provides detailed information on the fish growth and how the fish is involved in the angling throughout their long life span. This is ensured with the use of internal microchips (PIT tags), that caught fish are scanned for when measured. In addition to that, the studies include tagging with active electronic tags (transmitters and data storage tags) giving detailed information throughout the year for up to few years for a single fish. 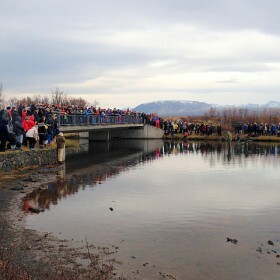 This will include information on the geological distribution and behavior ecology of the fish in Lake Thingvallavatn and on their spawning migrations into the rivers in autumn – early winter. Our active participation in the research is a part of our sustainable approach to the fishing. We believe that this will increase the numbers caught as well as it will contribute to the extended growth of individual fish caught and released, which can become over sixteen years old. 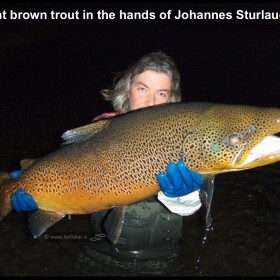 The brown trout normally spawns for the first time five to eight years old, weighing six to twelve pounds. After that they spawn every year and some every other year. 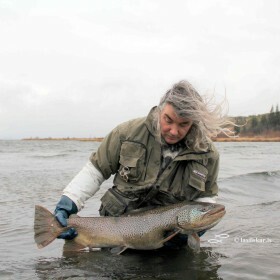 So releasing the fish not only helps in re-catching them, as it also gives them change to spawn, often resulting in repeated spawning for years.